Alexander Brook met New England native Peggy Bacon (1895–1987) while they were both enrolled at the Art Students League in New York. There, during the 1910s, they studied under several of the leading American modernists of the day, including Kenneth Hayes Miller and John Sloan. They married in 1920. Bacon is the subject, and the couple’s New York apartment the setting, of these six small, intimate paintings. The series implies the passage of time and, with a touch of humor, records the simple, everyday activities of the human figure. 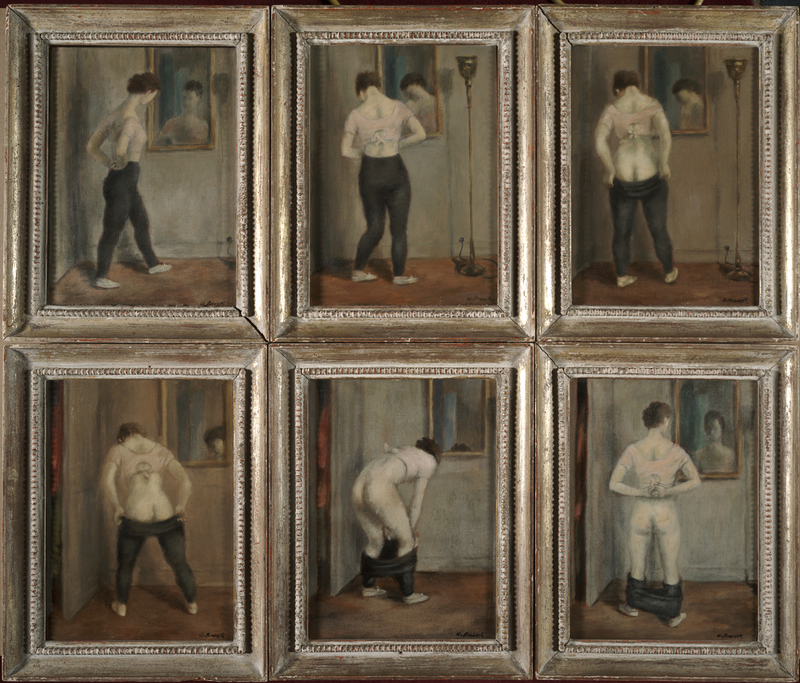 These paintings, arranged and framed sequentially by Brook himself, were acquired by the Athenæum from the artists’ descendants. Each signed, l.r. : "A Brook"